This is what happens when composites turns into art. 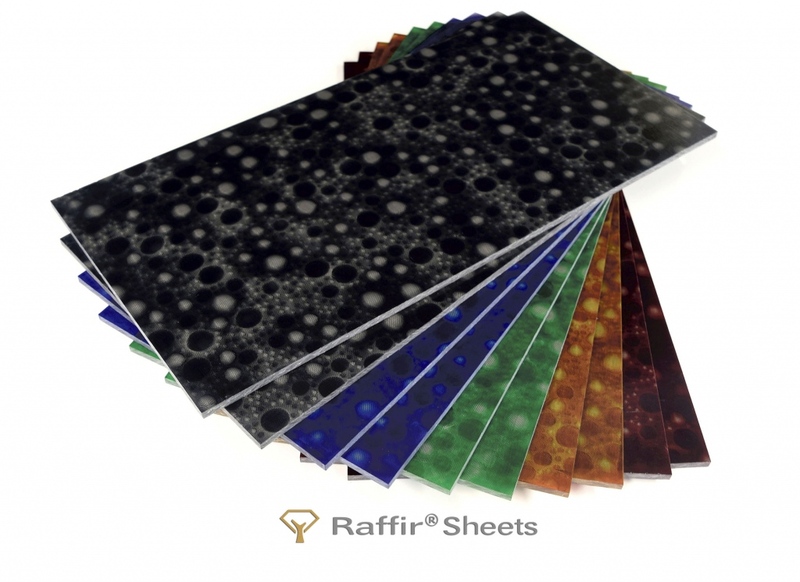 Raffir Composites are materials made of natural fibers or metals and polymer resins. We chose plant fibers for their light color, patterns and textures. The metals are brass, bronze and aluminum with their machinability and corrosion resistance. Finally, the polymer resins bind the materials together, while giving contrast and 3D depth. 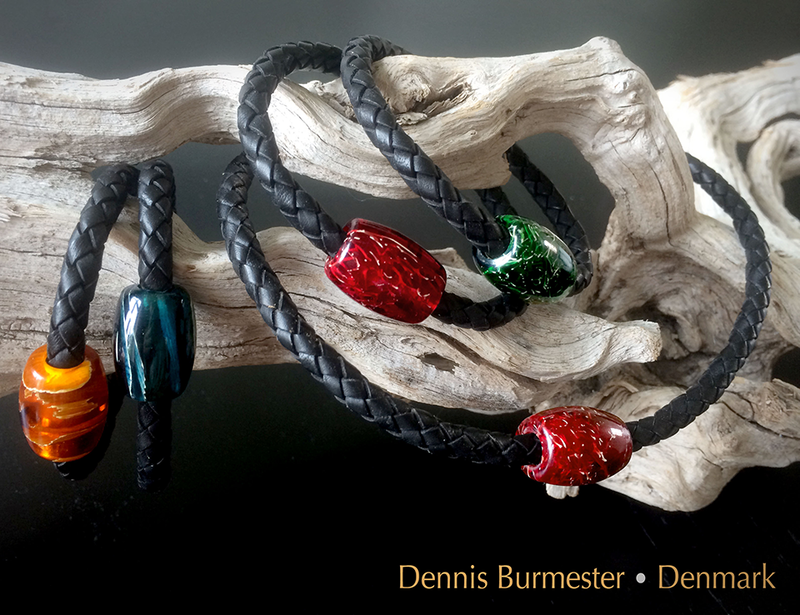 The result is a deep semi-translucent high contrast material for fine handles, jewelry etc. Some of the composites are food approved, and therefore suitable for kitchen tools etc. Most of our composites also come in a variety of colors. The standard colors are: black, blue, brown, green, red and yellow. Moreover, there are our SFX series with special color changing abilities. SFX Uranium glows in the dark. Blue Uranium does too, but it also turns strong blue in sunlight. Raffir Fiber and Alume are available in the six standard colors. In contrast we limited the Noble series to fewer colors to emphasize the fine brass and bronze meshes inside. Raffir Composites generally come in large raw blocks ready to cut into product dimensions. However, recently some of them are also available in sheet format. This format is easier to CNC and excellent for handle scales and panels. In fact it is also a more economical solution than the block format. The material is easily machined with tools for wood or plastic. It can also obtain a beautiful high-gloss finish after polishing. We recommend water grinding for easy and dust free processing.